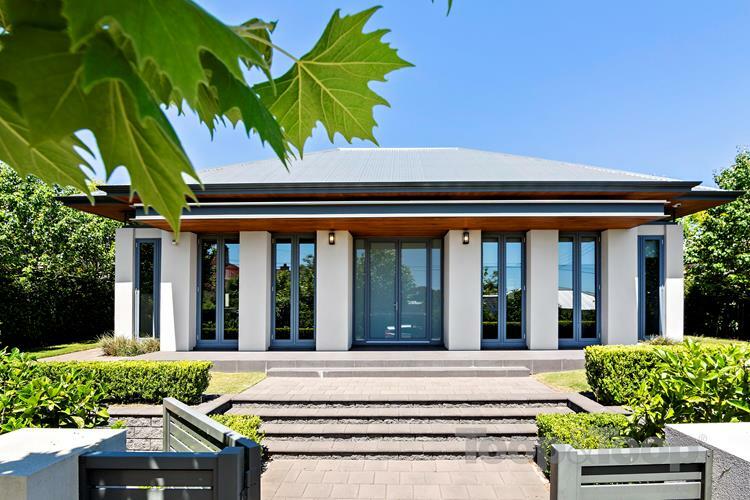 In this week’s look at South Australia’s most premium properties, a grand Springfield mansion with a famous former occupant, the Shahin beachfront home in Tennyson sells for $5.2 million, a St Peters residence attracts interstate interest, and a stunning North Adelaide property with Parkland views. Now here is a mansion with a rich history. 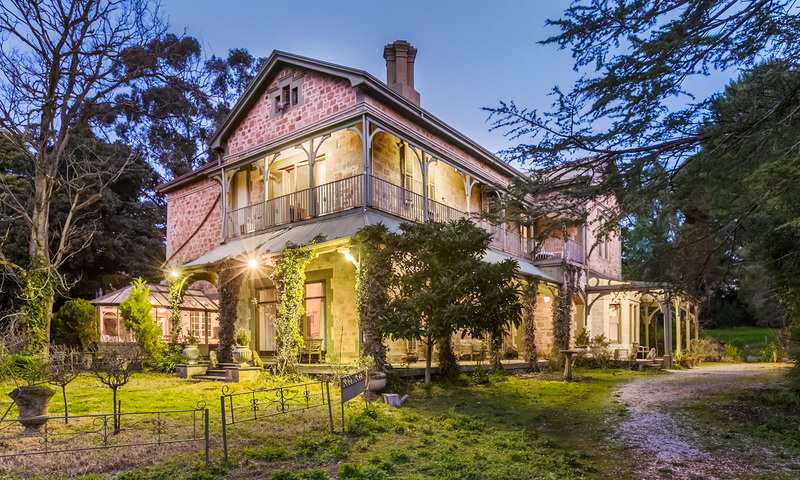 Coreega in Springfield is an 1882 Victorian mansion and was the childhood home of Nobel Prize winner Sir Howard Florey, who discovered penicillin. The heritage-listed property was on the market last year but was withdrawn and several upgrades undertaken before it was re-released earlier this year. 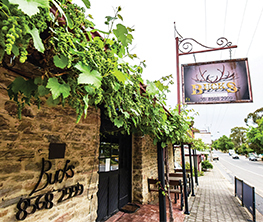 There are two titles on the property and title one (3939sqm) is for sale at $2.9 million. Owner Kay Haines and family have called Coreega home since 1995, but it’s now time to downsize. Another famous occupant of the property is miniature pony Harry, who Kay inherited in 2002. He was meant to come for a holiday but never left once she got council approval for the unusual pet, who is adored by local kids. The grand old home on Carrick Hill Drive is impossible to see from the road, sitting at the end of a winding driveway. There are Gothic arches, rear servants’ quarters, seven bedrooms, three bathrooms, a cinema room and a cellar that has been converted into a recording studio. Agent Suellen Salt from Harris Real Estate is handling the property. Around 100 people attended the auction last week of the Shahin family’s Tennyson property, which finally went under the hammer for $5.2 million. 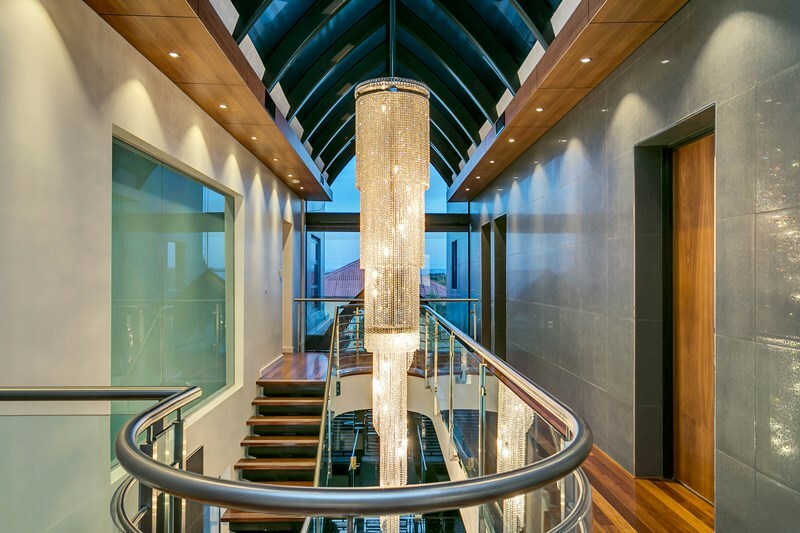 Bidding for the opulent seven-bedroom, eight-bathroom home opened at $4 million with $100,000 rises before a NSW bidder “tapped out” at $5.2 million, according to agent Grant Giordano from Sotheby’s International Realty. He believes this is a record sale for Tennyson and SA. “The vendors are happy the property is finally changing hands after 11 agents and nearly four years on the market,” he says. The Shahin family owns the Peregrine Corporation which operates On The Run service stations. Grant says he wasn’t surprised by the amount of interest in the property or the price. “Although we received many complaints from the public that our quoted price ‘was ridiculous as the property was in Tennyson and not Brighton’, we feel as though this is a quiet beachside suburb only half an hour from a major economic centre,” he says. 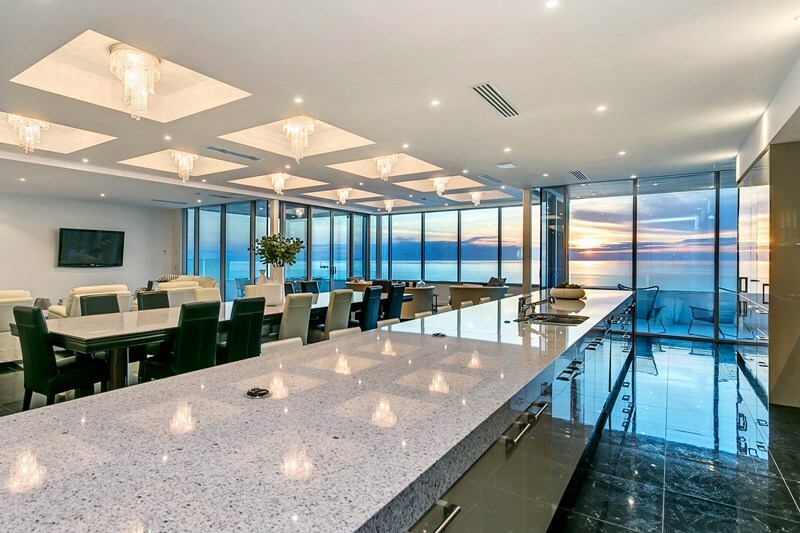 The beachfront property at 81 Seaview Road was built over a two-year period and boasts an indoor pool, a lift, home theatre room, three balconies and outdoor entertaining areas. The new owners, from Adelaide, do not wish to be identified but have been looking for the right property for more than three years. 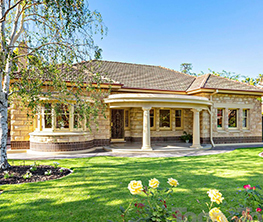 “Sotheby’s International Realty feel this sale demonstrates Adelaide is starting to experience the exponential capital growth other sister cities have experienced in the past. 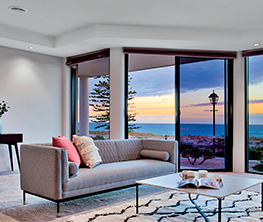 We look forward to exposing the very best of the Adelaide luxury market to Australia and the world,” Grant says. 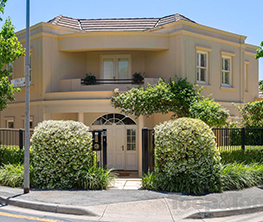 It’s all about location with this townhouse-style home in North Adelaide that has two addresses. 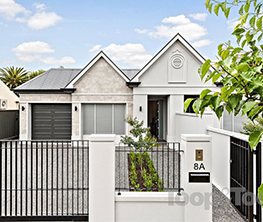 The front of the three-bedroom home faces MacKinnon Parade with views over the Parklands and to the city, while the rear faces Provost Street and has garage access. Owners Michael and Margaret Softley have lived in the house for five years and say it has been the perfect low-maintenance residence which they lock up and leave, spending time in Europe each year. 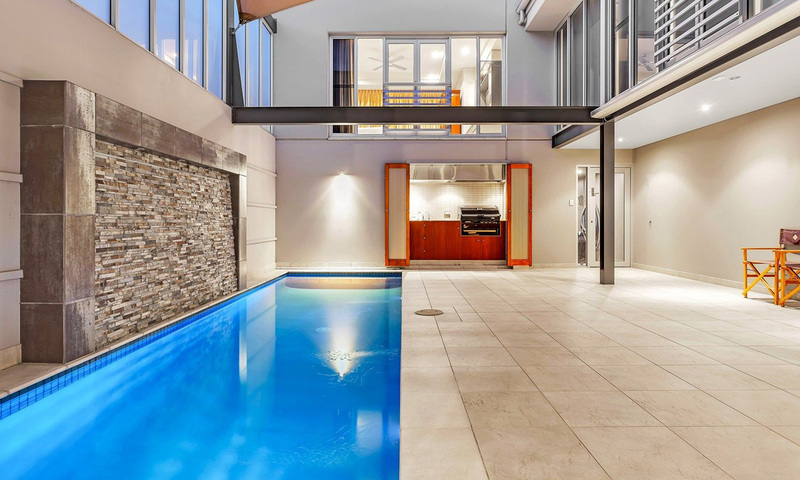 A highlight for their grandchildren has been the solar-heated pool in the centralised courtyard of the home. Level one features open-plan living with kitchen, lounge and dining areas, a balcony overlooking the Parklands, plus two bedrooms. The home also features a sitting room, three bathrooms and a lift. Michael, retired but formerly with Western Mining, says the couple will move back to Western Australia after originally moving to SA in 1983. The house is being handled by Richard Hayward of Klemich Real Estate. Offers close on December 5 at noon and the property is expected to fetch more than $2 million. 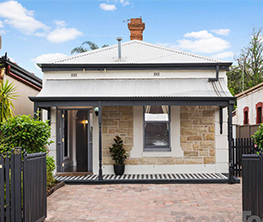 There’s been interest from Sydney buyers for a property in St Peters which has recently hit the market. The luxury home at 75 Sixth Avenue had its first open inspection last weekend and has had several private inspections since then, says owner David McIntosh, an ENT surgeon. “There’s definitely been a lot of interest already, including people from Sydney who compare the value for money you get here to Sydney prices,” David says. He says a highlight of the property is its location, close to shops, St Peter’s College and coffee shops and bakeries in the area. The four-bedroom home was built by Wabnitz Homes in 2013 and the block is more than 1000sqm. The house features high ceilings, a light open-plan living area, butler’s pantry, a master bedroom with en suite and huge walk-in robe, and a triple garage. The home is being sold by Toop & Toop agents Tim and Megan Thredgold. Expressions of interest close on December 6 at 5pm.